For Immediate Release – April 18, 2019 – Oklahoma City, Oklahoma – The National Reining Horse Association (NRHA) is thrilled to welcome Bob’s Custom Saddles back as a corporate partner. The relationship built between NRHA and Bob’s Custom Saddles over several decades has only strengthened with time. Bob’s Custom Saddles’ announcement of corporate partnership includes the title sponsorship of the Novice Horse Derby. “Bob’s Custom Saddles has long supported the NRHA through corporate partnership and then event sponsorship. Their return to NRHA’s corporate partner family is a win-win for all!” said Sammi Miller, NRHA Senior Director of Corporate Relations and Communications. 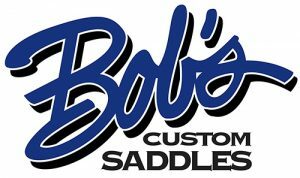 Bob’s Custom Saddles stands for quality, craftsmanship, and performance. Bob’s Custom Saddles are handcrafted by experienced artisans who have honed their craft over many generations. Bob’s uses only carefully inspected Hermann Oak leather, real sheepskin, and sterling silver or silver overlay trim in each of their masterpieces. With an emphasis on saddle performance, Bob’s Custom Saddles offers many different tree and seat styles to accommodate both horse and rider. That performance has spoken for itself throughout the years with the Bob’s professional team earning well over $20 million in the NRHA Open division alone. By returning as a Corporate Partner, Bob’s Custom Saddles will facilitate more opportunities for Novice Horses at the 2019 NRHA Derby Presented by Markel Insurance, running from June 15–23, 2019 in Oklahoma City. With $25,000 additional in added money, this group of horses will have the chance to expand their earnings early in their reining careers. More details and an entry form will be made available at nrhaderby.com in coming weeks. Running for one week each summer, the NRHA Derby Presented by Markel Insurance showcases the world’s best 4-, 5-, and 6-year-old reining horses and their riders. Thousands of exhibitors, horses, and spectators travel to Oklahoma City each year to compete, watch, and shop to their hearts’ content. Learn more about the event at nrhaderby.com. The versatility and longevity of Bob’s Custom Saddles enhances reiners’ performances. 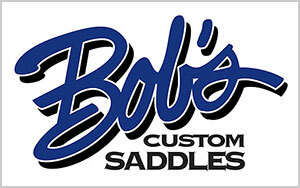 Learn more about Bob’s Custom Saddles at bobscustomsaddles.com. Over 43 years of craftsmanship at Bob’s Custom Saddles has seen countless hours go into building our saddles’ unique features that deliver a superior look, fit and quality ride. Bob’s Custom Saddles has carried more premier horsemen to World, Futurity and Derby Championships than any other custom saddle maker. Learn more about Bob’s Custom Saddles: www.bobscustomsaddles.com. For Immediate Release – April 15, 2019 – Oklahoma City, Oklahoma – The National Reining Horse Association (NRHA) is delighted to introduce its newest corporate partner: Toyon Ranch. Additionally, Toyon Ranch, presenting donor of the Reining Horse Foundation (RHF’s) Sliders’ Night Out and the NRHA Affiliate Ambassador program, has expanded its support of reining as the new title sponsor of the NRHA Rookie of the Year award. 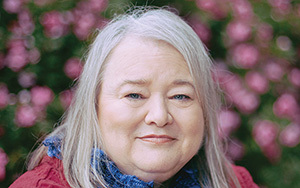 Toyon Ranch of Pilot Point, Texas, is owned by John and Nancy Tague. The ranch focuses on breeding and bringing to market the highest-quality reining prospects, pairing a diverse and proven band of mares with the world’s leading stallions. The Tagues will accelerate Toyon Ranch’s dedication to reining, beginning at the grassroots level, as the new title sponsor of the NRHA Rookie of the Year award. The top 10 horse-and-rider combinations, plus ties, from each of the Adequan® North American Affiliate Regional Championships (NAAC) will be eligible to compete in a clean-slate finals class for the Toyon Ranch NRHA Rookie of the Year title, saddle, trophy, buckle, and other awards at the NRHA Futurity and Adequan® NAAC. Refer to the NRHA Adequan® NAAC Conditions for complete details. Toyon Ranch partnered with RHF as the presenting donor of Sliders’ Night Out in 2018. Sliders’ Night Out takes place during the NRHA Futurity and Adequan® NAAC and welcomes NRHA members and affiliates of all ages from all over the world. This annual fundraiser supports RHF, a 501(c)3 nonprofit with core programs including the Dale Wilkinson Memorial Crisis Fund, youth scholarship and leadership development, and perpetuation of the NRHA Hall of Fame. “John and Nancy Tague’s passion for growing and promoting the sport of reining goes above and beyond. We are excited to partner with Toyon Ranch, and we value their support of NRHA!” said Sammi Miller, NRHA Senior Director of Corporate Relations and Communications. Toyon Ranch has also committed as a sponsor of the Affiliate Ambassador program, which brings together a diverse community of reiners and aims to connect the global reining community on multiple levels. Each year, NRHA reaches out to affiliates around the world to identify individuals making an impact on reining. Affiliate Ambassadors are chosen from each of eight U.S. affiliate regions, plus those in Eastern and Western Canada, South America, Mexico, Europe, and Australia, by a special selection committee. Those chosen are invited to attend, with a guest, Sliders’ Night Out during the world’s premier reining competition: the NRHA Futurity. These special Affiliate Ambassadors are eligible for reimbursement of a portion of their travel costs, receive two complimentary reserved seats for Sliders’ Night Out, have their affiliate recognized in the commemorative program, and receive two complimentary admission badges to the NRHA Futurity. Platinum Performance Renews Corporate Partnership with NRHA. For Immediate Release – March 13, 2019 – Oklahoma City, Oklahoma – Platinum Performance, supplier of the Official Equine Oral Joint Supplement of NRHA, will expand its partnership with the National Reining Horse Association (NRHA) in 2019. This year, Platinum Performance adds sponsorship of Adequan® North American Affiliate Championship (NAAC) Top 10 jackets to its existing partnership with NRHA. “We’re proud to support NRHA as the Official Equine Oral Joint Supplement and are pleased to continue providing the entire reining community with superior nutrition and unmatched personal service,” said Lauren Thompson, Platinum Performance Equine Marketing Manager. Reiners can rely on Platinum Performance® CJ, Platinum’s wellness, performance & complete joint formula, carefully formulated as a synergistic approach to healthier joints with ingredients that reflect the high-quality standards upheld by Platinum Performance. Platinum Performance® CJ is the only supplement of its kind — combining ASU in addition to joint-supporting ingredients, glucosamine sulfate, MSM, cetyl myristoleate, hyaluronic acid and Boswellia serrata with a whole-horse wellness formula that supports every part of the horse. Platinum Performance® CJ is recommended for any horse with advanced joint care needs and is popular with performance horses, prospects and senior horses. It also aids in recovery after joint or soft tissue injuries. Every season, each NRHA affiliate can assemble the top 15 riders in each class to compete at their designated Affiliate Regional Championship (ARC). From there, the top 10 advance to the Adequan® NAAC, which is held in conjunction with the NRHA Futurity. In 2019, Platinum Performance will provide jackets for Top 10 recipients in each Adequan® NAAC class. With the help of corporate partners like Platinum Performance, NRHA contributes over $40,000 annually to participating affiliate championship programs. 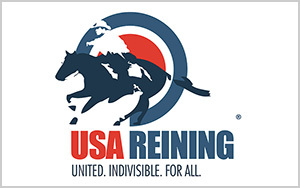 By developing reining at the grassroots level, these valuable programs boost expansion of the sport as a whole. Platinum Performance® believes in the power of nutrition and supplementation and remains committed to providing formulas that produce superior results in the horse. Over the past several decades, Platinum has continued to research the role of nutrition with regard to wellness and performance and is committed to providing equine veterinarians, horse owners, and trainers the nutritional tools they need to benefit from cutting-edge equine nutrition. Horse Health is the Platinum Performance Mission, and we look forward to helping you NOURISH YOUR PASSION. Find more at PlatinumPerformance.com. For Immediate Release – March 1, 2019 – Oklahoma City, Oklahoma – The National Reining Horse Association (NRHA) is happy to announce their continued partnership with Montana Silversmiths. Not only will Montana Silversmiths remain aligned with NRHA as a corporate partner, but this year they will also serve as presenting sponsor of the first NRHA Affiliate Summit. 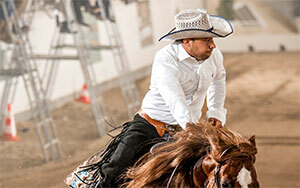 The NRHA Affiliate Summit will take place March 15 and 16 in Las Vegas, Nevada. Montana Silversmiths’ presenting sponsorship of the event will bring NRHA Affiliates together in one location to discuss plans for the successful fruition of the Affiliate Regional Championships (ARC) in 2019 and beyond. With over 45 years’ experience, Montana Silversmiths takes pride in being the leading buckle and jewelry manufacturer in the western industry. As the “Official Silversmiths of NRHA” for the past decade, they provide buckles and trophies for all NRHA-owned events including the prestigious NRHA Futurity, NRHA European Futurity, NRHA Derby, and NRHA European Derby. In addition, they serve as an affordable and convenient resource for NRHA Affiliates to purchase quality awards with substantial savings thanks to NRHA’s buying power. Markel Insurance Renews Corporate Partnership as the Presenting Sponsor of NRHA Derby. For Immediate Release – February 22, 2019 – Oklahoma City, Oklahoma – Anticipation builds for the 2019 National Reining Horse Association (NRHA) Derby as NRHA and Markel Insurance, a long-standing NRHA Corporate Partner, gear up for one of the largest reining events of the year. Coming to Oklahoma City, June 15-23, the NRHA Derby boasts a total purse and cash prize amount exceeding an estimated $1 million. Running for one week each summer, the NRHA Derby showcases the world’s best 4-, 5-, and 6-year-old reining horses and their riders. Thousands of exhibitors, horses, and spectators travel to Oklahoma City each year to compete, watch, and shop to their hearts’ content. Hosting an event of this caliber requires support from a remarkable organization, and Markel Insurance, a dedicated NRHA Corporate Partner for over 25 years, has stepped up to the task. With over 50 years of expertise insuring horses and horse-related businesses, Markel pioneered many of the equine coverage options available today. Their insurance products include horse mortality, private horse owner liability, farm/ranch property, and commercial equine liability. Customers can even purchase equine insurance 24 hours a day through the company’s online platform. Markel’s cutting-edge offerings and unparalleled service to the horse industry makes their partnership with NRHA natural. 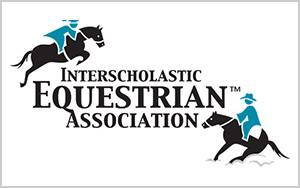 “We remain committed to NRHA and the equine industry. We value our partnership and look forward to continuing to provide insurance solutions and exceptional service to NRHA members,” says Don Faison, Markel’s Managing Director. Undoubtedly, Markel’s impact on NRHA membership goes far beyond the NRHA Derby. As a provider of immediate “fall of the hammer” mortality coverage for sale consignments, Markel also proudly sponsors the NRHA Markel Insurance Futurity Sales which include the Select Yearling, Marketplace, and Futurity Prospect sales. “Markel’s extended partnership and deeper level of commitment as the NRHA Derby Presenting Sponsor is another reason why Markel is very dear to NRHA. We are excited to continue working side-by-side with the team at Markel for many years to come,” says Sammi Miller, Director of Corporate Relations for NRHA. Markel is the official provider of NRHA Equine Insurance not only in the U.S., but worldwide. Their Global Partner status includes sponsorship of the NRHA European Futurity, Derby, and Affiliate Championships. This stands as a testament of Markel’s firm commitment to staying in the horse industry for the long haul. Learn more about the services offered by Markel at markelinsurance.com/horseandfarm. For additional information on the NRHA Derby schedule, live video coverage, hotel accommodations, sponsors, and more, visit nrhaderby.com.